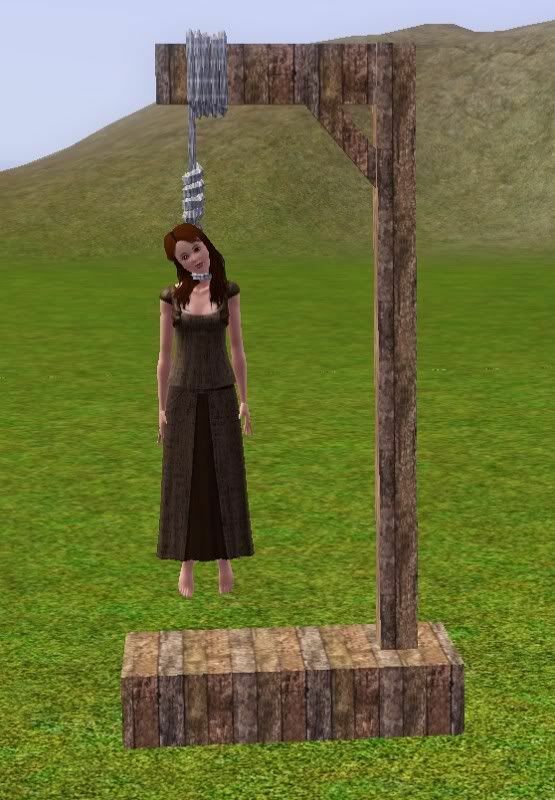 Included is a decorative Medieval Gallows mesh found in decor/misc decor and decor/sculptures, and a pose for the gallows. The gallows have 2 channels. 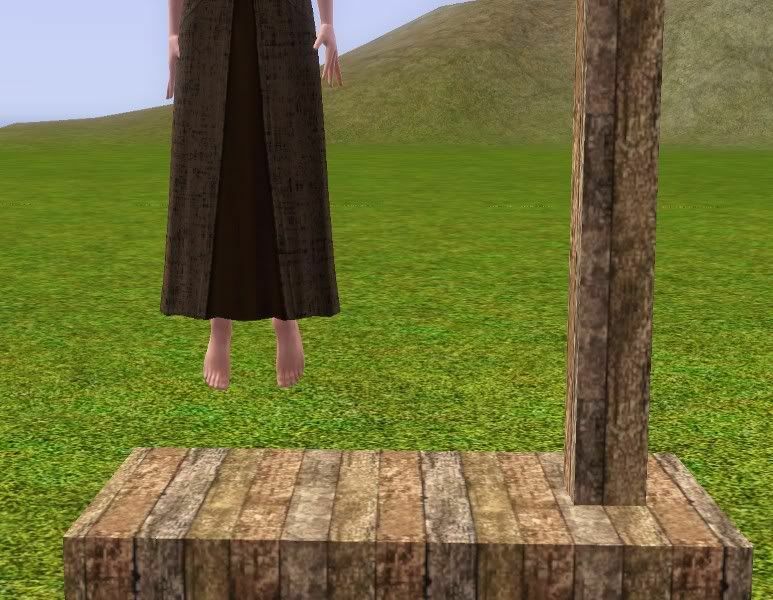 To get your sim in the gallows properly, you will have to use moveobjects on and get your sim centered in the middle of the gallows bottom, then use the pose box by cmomoney on modthesims found here. and enter pose name a_TNW_Pose_6 exactly as it appears here and in the package file name. Thanks so much to alkaizen at turbosquid.com for the mesh, turbosquid's policy is standard royalty free, meaning you can do whatever you like with their meshes with or without credit as long as it stays free. Enjoy! Okay folks, fixed the link finally this time! 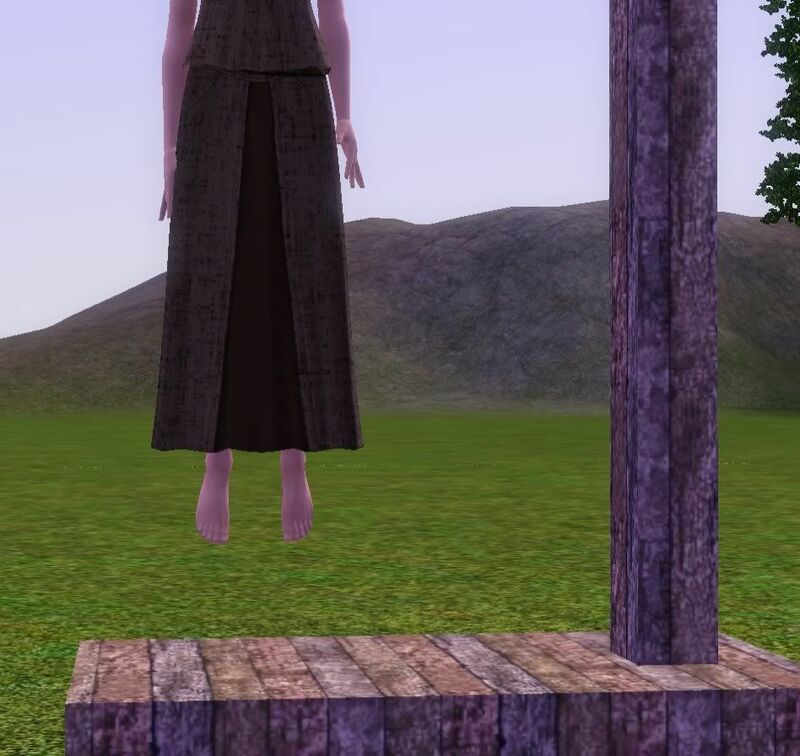 I know what I did wrong, I was updating the link for the gallows and not everything when the whole lot gallows and pose were on the 4shared site (so sorry). and was unable to find images, sorry. Feet look great now! Thanks for updating. I also love the hand details. Shows the shock of the fall. I was wanting something like this for my medieval series. Thanks so much for this. Thanks for sharing! I love this idea, and I wanted to use it in my medieval story. 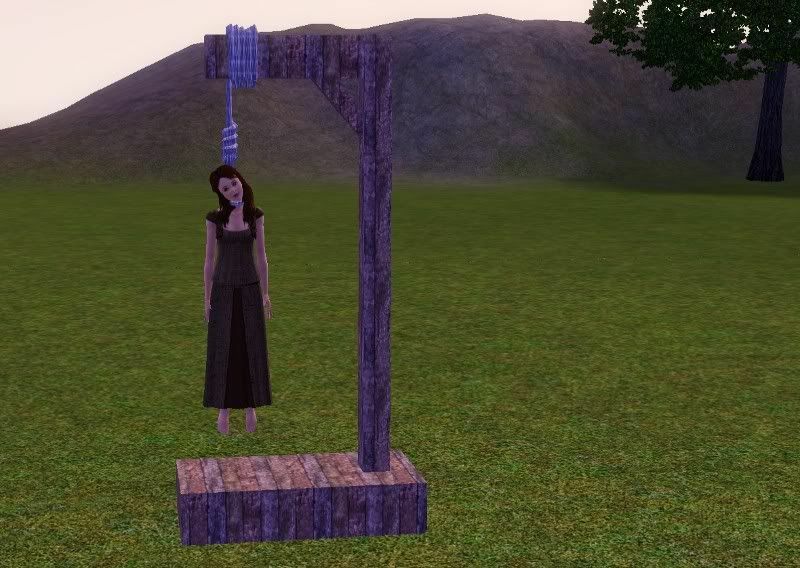 I have the pose, but the gallows isn't included in the file. The gallows are included now, sorry about that. Okay the link is truly fixed now, so sorry everyone!